River Diamonds is pleased to announce that it has entered into an agreement to subscribe for 12.5% of the share capital of Viso Gero International Inc. (“VGI”) for a cash consideration of £2.5 million. VGI is a company incorporated in the British Virgin Islands and an indirect subsidiary of Red Lion Management Ltd. (“Red Lion Management), a global merchant bank based in Vancouver, Canada. Following completion of the subscription by River Diamonds, VGI will, by converting certain secured loans, own a 94% equity interest in the capital of Westech Gold Pty Ltd (“Westech”) which, through its wholly owned direct and indirect subsidiaries, owns the mining rights and associated assets of the Emperor Gold Mine in Fiji, also known as the Vatukoula Gold Mine. 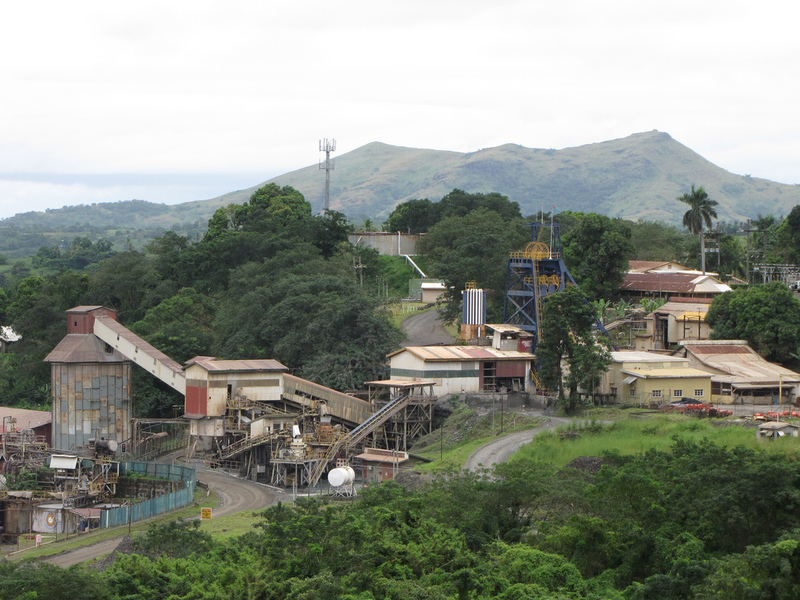 The mine is currently on care and maintenance pending the signing of a deed with the Government of Fiji that will allow it to reopen on agreed terms. It was a requirement of Red Lion Management that the transaction included resources to support the community of Vatukoula. The mine is therefore not currently in production and is not currently producing any revenues or profits. The funds to be injected by River Diamonds will meet part of the working capital requirements to bring the mine back into production. Westech acquired the mining rights and associated assets of the Emperor Gold Mine from ASX-listed Emperor Mines Limited by purchasing all of the shares of two 100% privately held Australian subsidiary companies, which together held a 100% interest in the Fijian subsidiary companies which directly own the mining rights and associated assets of the Emperor Gold Mine. As of December 2006, the Emperor Gold Mine has a JORC approved underground delineated gold reserve of 2.34 million tonnes grading 11.4 g/tonne for 858,000 ounces within a total resource of 16.2 million tonnes grading 9.1 g/tonne for 4.76 million ounces underground. There are an additional 250,000 ounces gold in mine tailings from 5.18 million tonnes grading 1.5g/tonne. These reserves have been calculated using a US$447 per ounce gold price. appropriate amenities. Other assets in Fiji include a deep water port of entry and a tank farm. The Emperor Gold Mine assets also include four mining areas with three shafts serviced by recently refurbished mine winders, pumps, hoists and associated equipment necessary to operate a 140,000 ounce per year underground mining operation. On surface there is an estimated A$6 million in stock, A$3 million in new mining machines still in stock, five diamond drills, workshops, housing, offices, laboratories and all associated infrastructure to operate significant mining operation. Additionally there is an exploration portfolio of approximately 500 square kilometres. The Emperor Gold Mine is one of the longest continuously operating high grade mines in the world with an operational history that extends over 70 years. The mine commenced production in 1936 and has produced approximately 7 million troy ounces (110,600 kilograms) to date. Just prior to the sale by Emperor Mines Limited to Westech all of the past employees were retrenched and paid-out by the previous owner. All bank debt and the out-of-themoney hedge book has remained with Emperor Mines Limited (Australia) and the purchased assets are totally unencumbered. David Lenigas, who is presently a non-executive Director of River Diamonds was the former Managing Director of the Emperor Gold Mines and Chairman of the Joint Operating Committee with Western Mining Corporation for four years. He has an extraordinary in depth technical knowledge of the mining operation and its importance to the Fijian economy. The Emperor Gold Mine offers its new owners the unique opportunity to bring back into production a mine that has a substantial and established resource. Additionally, exploration potential exists within the large land tenements surrounding the mine. In connection with this transaction, River Diamonds will be looking to raise further funds by way of a placing in the near future and to supplement its ongoing working capital requirements. Kiran Morzaria B.Eng (ACSM), (FGS), MBA, has reviewed the information contained in this announcement. Kiran holds a Bachelor of Engineering (Industrial Geology) from the Camborne School of Mines and an MBA(Finance) from CASS Business School. Kiran is the Finance Director of River Diamonds.